In April 2019 Mi will present QODE – a brand new innovation and technology event for Brisbane, Queensland, and part of the Curiocity festival in March and April. QODE is targeted at the entrepreneurial startup and investment communities as well as company executives and government officials who need to better understand the future business landscape. QODE presents a two-day high energy inspirational and education program – with content and speakers never before seen in this country covering the technology and trends sweeping the world. QODE is presented in collaboration with the Queensland Government (through the Department of Innovation and Tourism Industry Development and Tourism Events Queensland) and the Brisbane City Council (through its economic development agency Brisbane Marketing). It is a major part of those organisations’ innovation strategy. The event name is based on Computer “Code”. Playing an ever-increasing role in our digital lives, code is the world’s universal language, crossing all boundaries – race, gender and language. It is a very creative platform – building something of significance literally out of air – hence it’s the very essence of Curiocity. 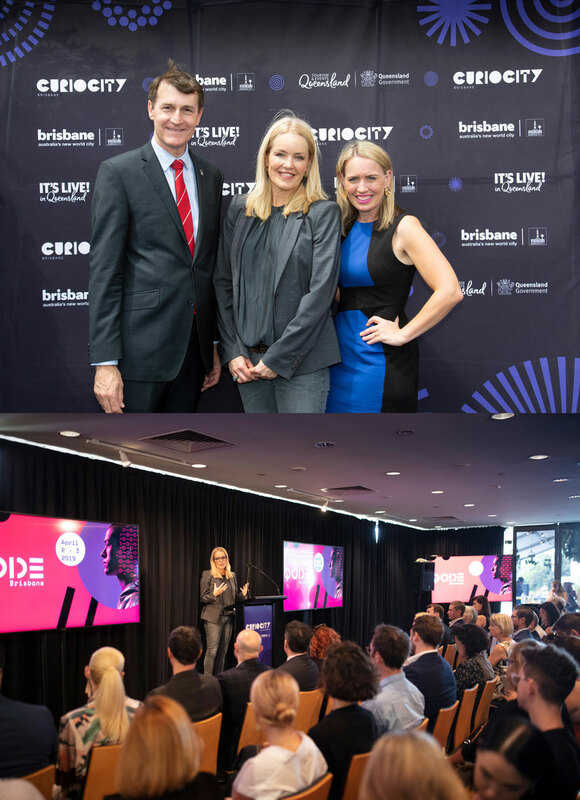 Graham Quirk (Lord Mayor of Brisbane), Jackie Taranto (Managing Director, Messe International) and the Hon Kate Jones (Queensland Minister for Innovation & Tourism Industry Development) at the launch of QODE and Curiocity in December 2018. 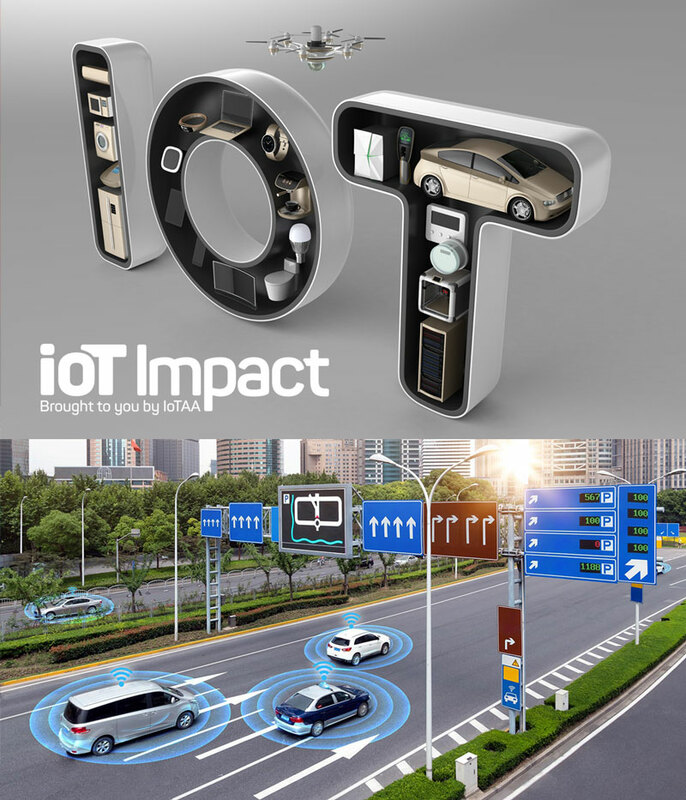 In September 2018 Messe International presented IOT Impact – focusing on the Internet of Things – in partnership with IOT Alliance Australia, the peak body representing IoT in Australia. With IoT poised to revolutionise the personal and business lives of people everywhere, it is also viewed as a major driver of economic value and competitive advantage for Australia. The event explored how Australia can best capitalise on this new technology, and the industries which will experience the impact first. Presented at UTS in the heartland of technical innovation in Sydney, IOT Impact provided participants with an extensive range of contact experiences – including expo, start-up, international and political keynotes, conferences, panel sessions and workshops. 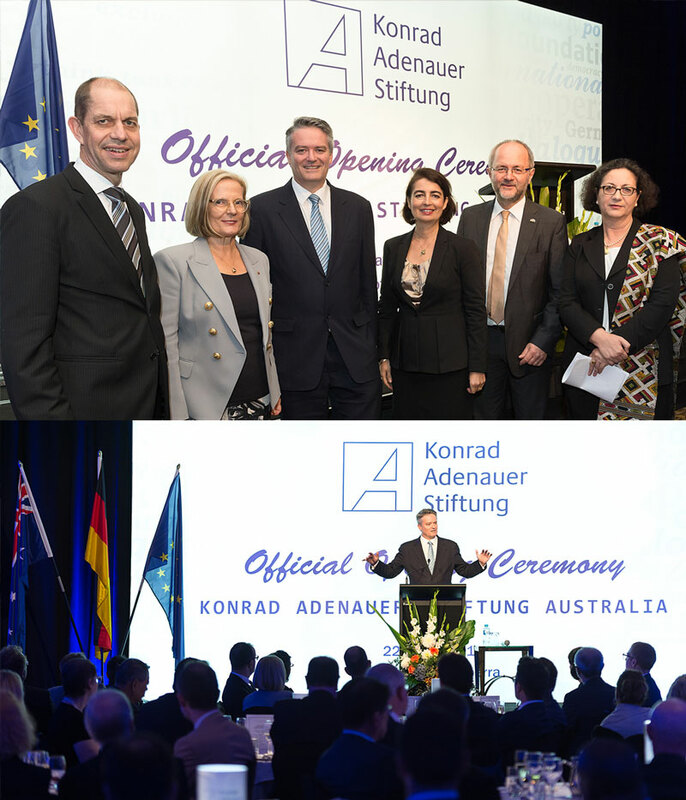 MI assisted Konrad-Adenauer-Stiftung with the opening of its new office in Canberra, arranging for Senator Matthias Corman, Australian Minister for Finance, to officially open the new office. KAS is the first German political foundation and Think Tank to establish an office in Australia. MI co-ordinated the visit of a joint delegation from the Christian Democratic Union (CDU), the incumbent party in Germany led by Chancellor Angela Merkel, and Konrad-Adenauer-Stiftung (KAS), one of Europe’s leading political foundations and think-tanks, based in Germany. The head of the delegation was Dr Klaus Schueler, Angela Merkel’s strategist and campaign manager, and considered one of the leading political campaign strategists around the world. 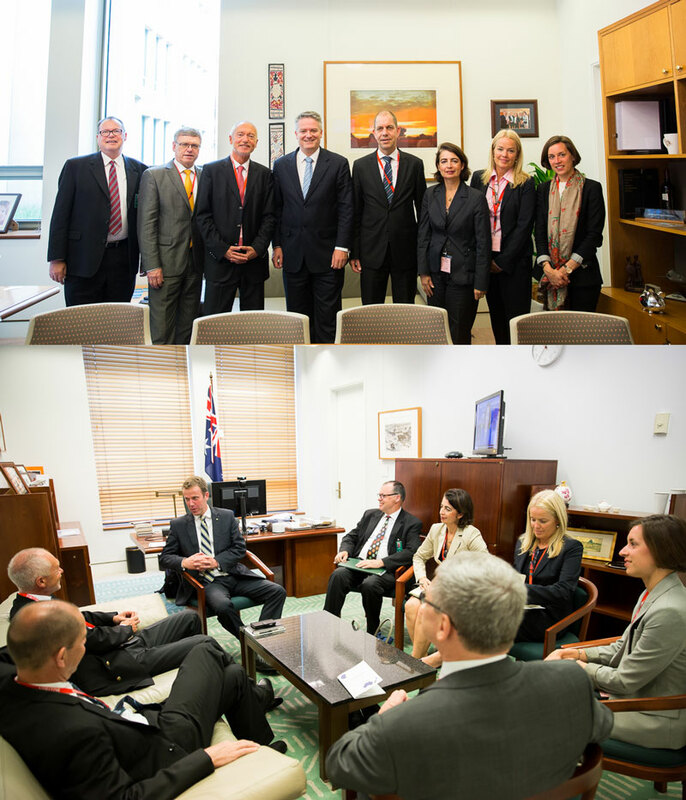 Meetings were coordinated with political decision makers, among them Federal Minister Mathias Cormann, representatives of the Liberal Party and leading Australian think-tanks. 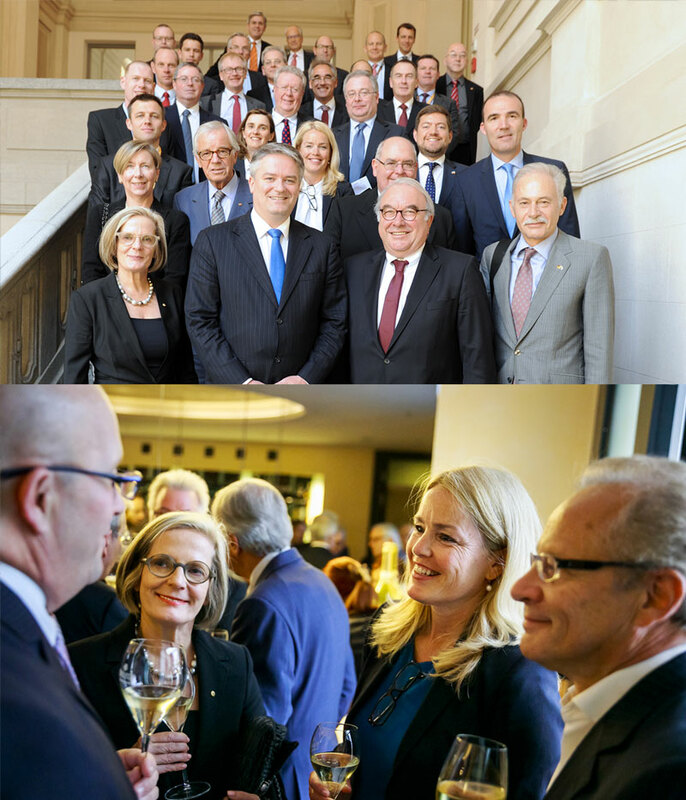 MI co-ordinated with Konrad-Adenauer-Stiftung (KAS) a breakfast business meeting which was co-hosted by German Minister of State Professor Maria Boehmer and Lucy Hughes Turnbull AO. Minister Boehmer is the co-leader, and Lucy Hughes Turnbull AO is a member, of the Australia-Germany Advisory Group established by Angela Merkel and then Australian Prime Minister Tony Abbott in 2014 after the G20 meeting in Brisbane. 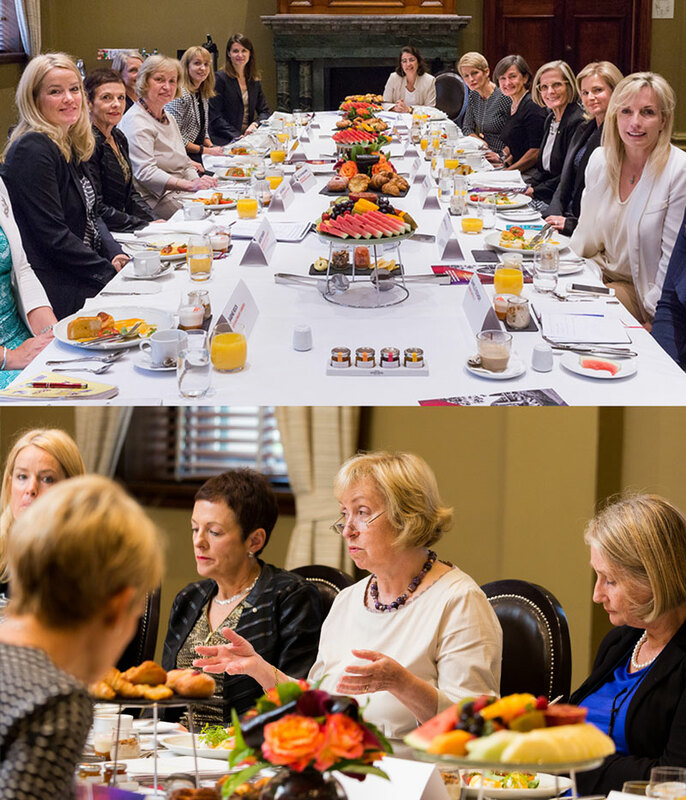 The breakfast meeting was attended by leading Australia business women including CEOs from Sydney Opera House, Australian Chamber of Commerce and Industry, and Blackmores. The Bright Alliance is a new cancer health and research centre, part of the Prince of Wales Hospital in Randwick, Sydney. The new centre, which opened in October 2016, brings together cancer researchers, clinicians and patients in a unique and innovative environment. 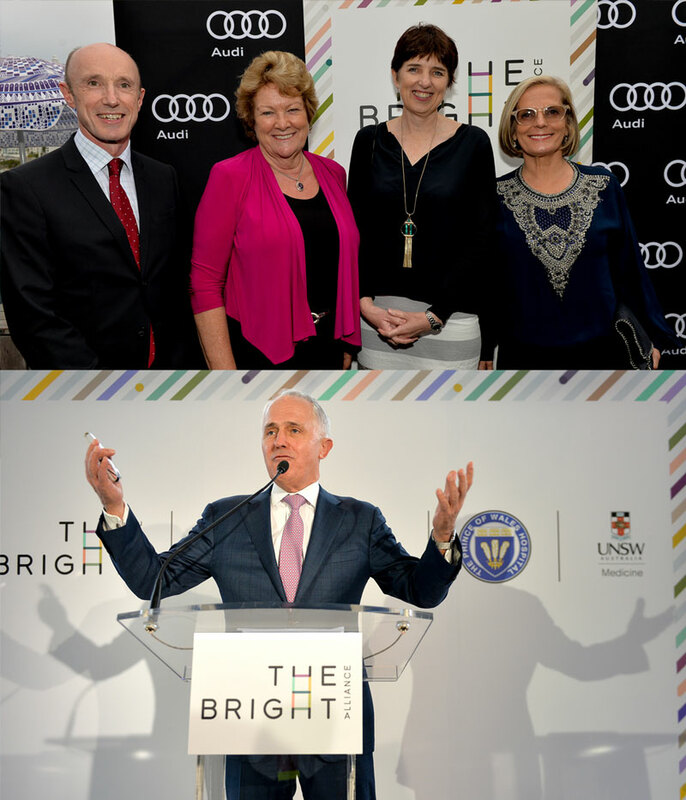 Jackie Taranto was a member of the Bright Alliance Advisory Committee, led by Lucy Hughes Turnbull AO, and with the objective of raising $5 million for the centre, and co-ordinating the delivery of all entitlements to sponsors and donors. Services provided to the Bright Alliance by MI included complete overhaul of key messaging, redesign of the website and promotional brochures, creation of a donor database, and planning and co-ordination of the first fundraiser event held at the Bucket List is Bondi Beach, which was attended by the Prime Minister. The event raised over $2.7 million. Having met the objective of raising the $5 million, and after successfully handing over the sponsorship relationships to the hospital, the committee was officially dissolved in December 2015. The Australia-Germany Advisory Group was established by Angela Merkel and then Australian Prime Minister Tony Abbott in 2014 after the G20 meeting in Brisbane. Co-led by German Minister of State Maria Boehmer and Australian Finance Minister Mathias Cormann, the group’s first meeting was in July 2015 in Berlin. To coincide with this meeting, MI co-ordinated a trade and business delegation, which was led by Senator Mathias Cormann and Lucy Hughes Turnbull AO, and comprised more than 15 senior executives from Australian industry and academia. One of the highlights was the invitation by Konrad-Adenauer-Stiftung (KAS), one of Europe’s leading political foundations and think-tanks, based in Germany, to Senator Mathias Cormann to deliver a keynote presentation at one of its prestigious forums. German Chancellor Angela Merkel visited Australia in November 2014 to attend the G20 meeting held in Brisbane. Following the G20, Chancellor Merkel went to Sydney. Whilst in Sydney she toured the offices of NICTA, Australia’s Information Communications Technology (ICT) Research Centre of Excellence. MI was responsible for pitching the idea of the tour to the German government, handling all diplomatic details between NICTA and the German Government, designing the tour schedule and co-ordinating with all authorities including government, diplomats and security. The NICTA tour was only such tour that Chancellor Merkel undertook whilst in Australia. In 2000, Jackie Taranto founded Hannover Fairs Australia which built and launched CeBIT Australia, the number one technology and innovation business event in the Asia-Pacific region for 14 years. Jackie quickly realised that one of the success factors for CeBIT was to gain government support, and to attract international participation, through Hannover Fairs Australia’s parent company Deutsche Messe. From the outset, the NSW government was a strong supporter of CeBIT with the NSW Premier opening the event every year. In 2010, under Jackie’s guidance, the NSW Government added financial support to the event, as Official Partner. That relationship continues today. 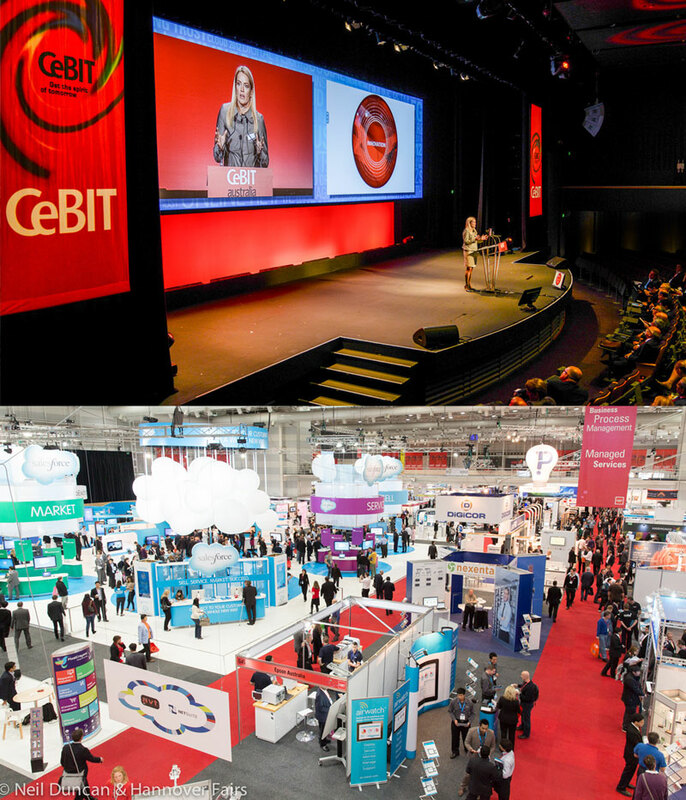 Every year at CeBIT Jackie tirelessly worked to attract international exhibitors, visitors and delegations. In 2011, Jackie devised the Partner Country Program, where one country was highlighted at the event, with an expanded presence on the exhibition show floor, and an official delegation led by a senior politician attended the show. The inaugural partner country was Germany and the German delegation was led by the Deputy Chancellor of Germany, Guido Westerwelle. It was the most senior visit of any politician to Australia for over ten years. Meetings were scheduled around the CeBIT Event which led to an overall boost to bilateral relations between the countries. established international partnerships that resulted in major research collaboration projects, and ongoing business.